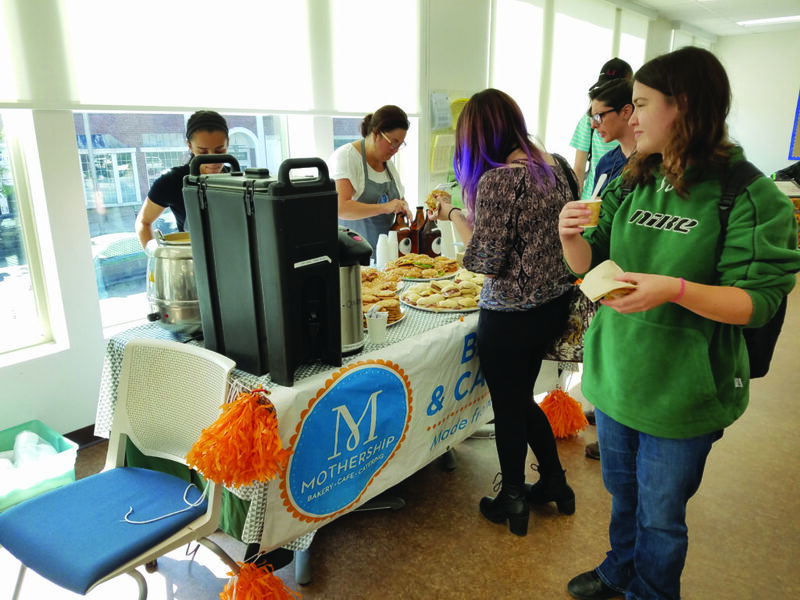 Mothership on Main Bakery and Catering brought a selection of sample-sized sandwiches of meat and vegetarian varieties, store-baked cookies and a selection of kombucha teas. El Ranchero’s Mexican food brought chicken and beef taquitos with optional sour cream, powdered cheese and lettuce. 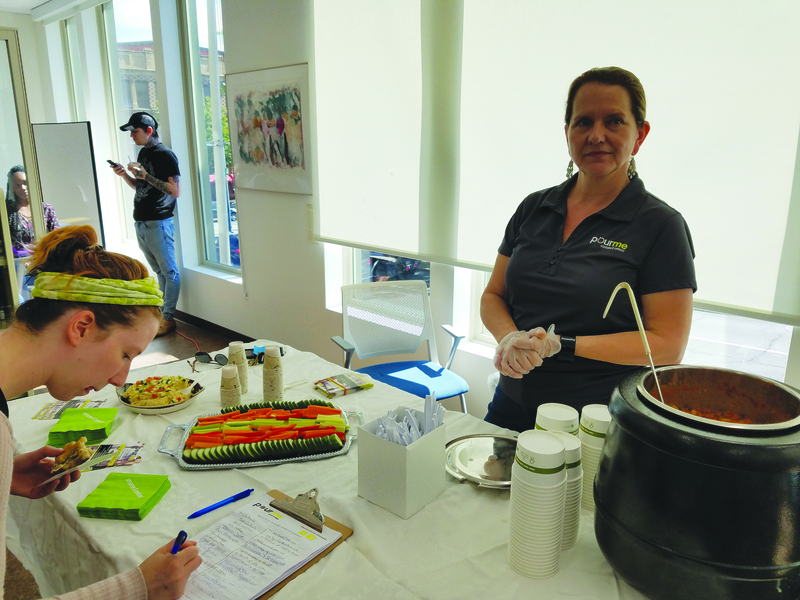 PourMe, a café focusing on fresh ingredients and protein, brought meat chili and vegan hummus with vegetable sticks for dipping. Franco’s Pizza, while its employees were not able to appear in person, sent along several pizzas with various toppings, including pepperoni and bacon. 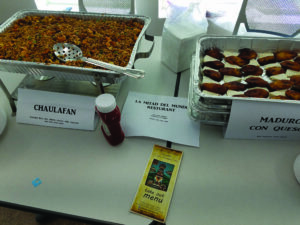 La Mitad Del Mundo, a restaurant specializing in Ecuadorian cuisine, brought chaulafan, a mixed rice dish containing a variety of meats in a soya bean sauce, and Maduro con Queso, ripe plantains with cheese. 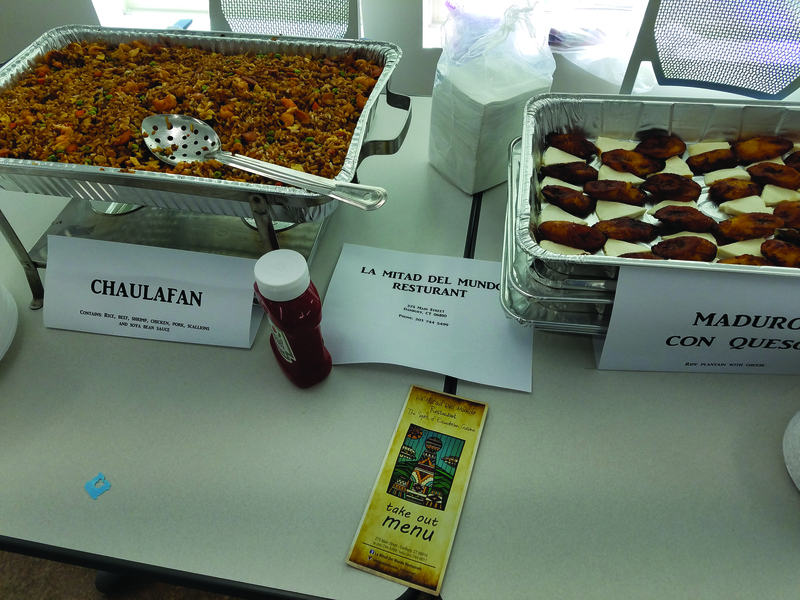 From 11:00 AM to 1:00 PM, students and staff were invited to eat as they pleased from the restaurants’ tables. The reception was positive, as many students turned out to sample, with several picking up menus and signing up for email newsletters as they went. According to Associate Dean Antonio Santiago and Assistant Director of Admissions and Event Coordinator Scott Farrell, the purpose of this event was twofold. 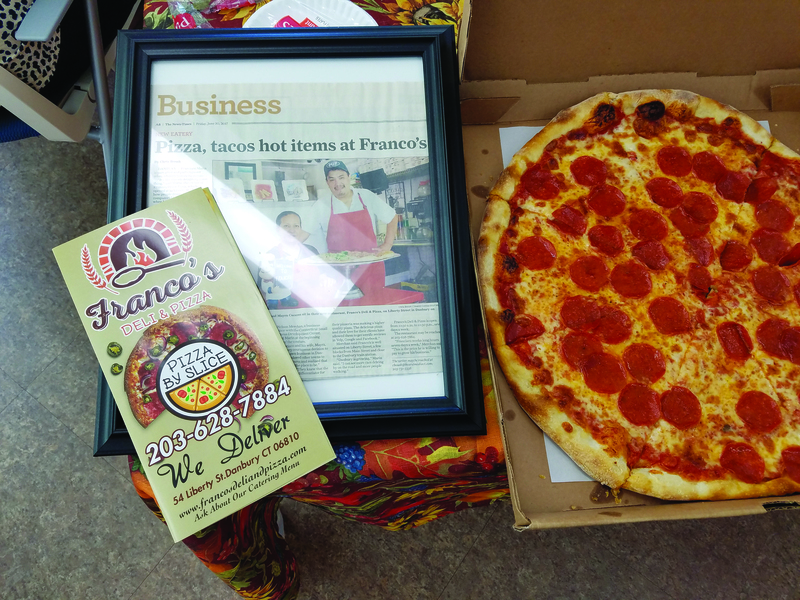 First, they wanted to encourage students to try food from restaurants they may not have visited before in order to broaden their cultural horizons: “We want to make sure that they come here and have an opportunity to enjoy a lot of the restaurants and eateries that are developing here on Main Street.” Second, they wanted to further build the school’s relationship with the local storefronts in an effort to revitalize and increase commerce in the greater Main Street area. “We want our students to be engaged in the community,” said Farrell, adding, “The Waterbury campus has been involved for a long time in what happens in Waterbury, and I’m looking to see what kinds of things we can do to make sure our students are involved here in Danbury.” He hopes that this will be the inauguration of an annual event for the school, and that more restaurateurs will attend future events.